Prime Minister Scott Morrison has defended the decision to advertise a horse race on one of Australia’s historic landmarks, saying it’s a “no brainer”. There has been an enormous public backlash against approval by the NSW Government to beam a gambling advertisement for the Everest trophy horse race. There is now an online petition with more than 40,000 signatures against the decision. 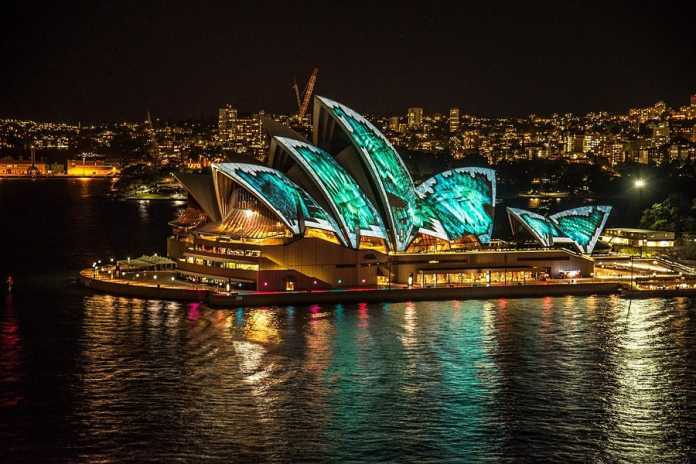 Of the decision, Mr Morrison justified the promotion of gambling on the Opera House by saying the Everest horse race was “one of the biggest events of the year” and that it would help “generate massive economic opportunities”. He then said he would even beam advertisements for the Bathurst 1000 on the Sydney Harbour Bridge “If I thought it was going to get more people there”. He then expressed confusion as to why “people are getting so precious about it”. The Prime Minister joins NSW Premier Gladys Berejiklian in defending the move, who herself said it was “in the best interests of the community”. She said she was “absolutely confident” that she was making the right decision. She also asked people to take a look at the advertisement on the Opera House before they judged it. Those against advertising on the Opera House have accused Ms Berejiklian of giving into pressure from radio personality Alan Jones who supports the move. In a radio interview with Louise Herron, director of the Opera House, Jones asked “who do you think you are?” when questioning her as to why she initially rejected the proposal. He then said that if he were the premier he “would pick up the phone and sack you today”. Soon after the interview, the Premier intervened and asked Ms Herron to approve the plan to beam a horse racing promotion onto the Sydney Opera House. In addressing the controversial manner in which Jones spoke to Ms Herron, Ms Berejiklian said that everyone was able to express their views. She also said that the version of ad that will run on the Opera House is “toned down” from the original proposition.